In recent days, IMANI’s Vice-President, Kofi Bentil, has had a few unkind words to say about the Government’s drone health supplies delivery programme in conjunction with Silicon Valley’s Zipline International. This is surprising as Kofi has been the most enthusiastic supporter of Vice-President Bawumia’s various digital initiatives within the IMANI family, whose members have been generally more cautious. Some of the reactions on social media are based on a misunderstanding of the nuance. Kofi’s approach to these issues, as he has carefully explained to the IMANI Alert team, has been completely consistent. He supports programmes when they are innovative and not necessarily because they are novel. The difference is based on a simple test: does a new initiative improve outcomes with fewer resources than current arrangements allow? If so, then it is innovative. Otherwise, it is merely novel. And novelty on its own doesn’t cut it. Digital addressing was innovative because properly calibrated and diligently implemented it can power service delivery through a public API that can be cheaper and more localised than Google. So, its implementation hiccups notwithstanding, Kofi maintains his support. The Ghana Health Service – Fly Zipline Ghana drone health supplies delivery programme (we will call it “zipline” for simplicity sake going forward), on the other hand, is novel, but the current strategy will end up improving nothing about our health system if care is not taken. Unless the Government rethinks the strategy, it will become another example of money poured down the drain, something propped up purely by occasional PR stunts. We will explain why, but first, let’s address one misguided impression about “public policy analysis”. Since Kofi started his critique of Zipline, pro-government spokespersons have stepped up snide remarks on social media using the cover that the Zipline project is too “technical” for critique by non-specialists. In fits of ignorance masquerading as sophistication, fanatics question whether “non-drone experts” can mount any coherent critiques. This is ridiculous. Drone engineering and the physics of drone flight are the least important issues of concern about this project. The Zipline programme is first and foremost a logistics, public health, and public finance matter. It is a multidisciplinary subject involving PPP contract law, supply chain design, topography, geography, systems thinking, and emergency medicine. As well as, of course, electronics and electrical engineering. In short, it is a perfect public policy analysis issue, requiring the capacity to blend insights from many disciplines in order to be able to judge if a project is indeed in the public interest. Factually speaking, it is the poor capacity to do this sort of thing well that has saddled this country with so many bad projects and created the mess in public finances we are contending with today. The Zipline project is designed to be a “just in time delivery system” for certain essential medicines and medical supplies, such as blood. The supply chain literature has loads of knowledge about when “just in time delivery” works and when it does not. IMANI has spent the last few days reviewing a large amount of published research about medical supply chain logistics, national blood management, national cold chain systems for Biomed distribution, and emergency care in Ghana. It has also reviewed Zipline’s track record in other countries and the contractual and due diligence information related to its specific, upcoming, initiative in Ghana. Imagine our shock when we realised that the Zipline contract that is being urged on Parliament by the Health Committee has actually expired on its own terms and needs to be urgently redrafted to reduce Ghana’s risks. Clause 4.13 makes it absolutely clear that should the government fail in obtaining parliamentary approvals for Zipline by 31st October 2018, the contract shall lapse automatically at Zipline’s sole discretion and must then be resuscitated through another agreement. It appears that the use of “or” in the clause is confusing the government. That disjunction means simply that EITHER a failure to obtain parliamentary approval OR failure to secure regulatory approvals within six months after parliamentary approval qualifies as a termination trigger exercisable at Zipline’s discretion. It is not a “conjunction”. Both conditions are equally fatal, and right now we are more than one month past the first timeline. Zipline does have the right even after the Parliamentary approval to terminate the agreement without further cause as the Government is technically in breach already. The sensible thing to do would be to replace the contract with another one to remove this unilateral discretion. It is ridiculous that it was agreed upon in the first place, but it is mind-boggling that the Health Committee still wants to pass a contract that has an active clause allowing unilateral abrogation without cause. The structure of the agreement is one of a Build-Own-Operate-and-Maintain (BOOM) arrangement. Ghana is essentially renting autopiloted drones and storage from Zipline for four years at the end of which Zipline can choose to dismantle its makeshift distribution centres, pack up its drones, and depart with all its proprietary software and machines intact. As has become standard in all such agreements, the Government of Ghana is to either pay all import duties and taxes, including VAT, incurred in the setup and operations of Zipline or reimburse Fly Zipline Ghana Limited for any such payments made. It must also look for land for Fly Zipline to set up its distribution centres in Ghana and on top of that hand over Ghana’s public sector medical data free of charge. Zipline has the power to use this data as it sees fit and share with whomever it pleases. There are a couple of challenges with this whole model, and we shall return to some of them later, but let’s dwell on the actual operational method selected – Just-in-Time (JIT). The simplest way to describe a JIT model is that supplies arrive when it is anticipated that they shall shortly be needed. Zipline is, however, a more extreme version: supplies arrive ONLY IF a demand arises and ONLY AFTER the demand has arisen. This is an extreme “pull model”. Such demand-driven systems are known to save capital at the expense of reliability and cost-effectiveness (i.e. companies that worry about reliability store large volumes of stock in advance with greater upfront investment but lower marginal and unit costs). In the Zipline approach, Zipline will set up four distribution centres in four regions of Ghana. The Ministry of Health will secure supplies of blood, vaccines, and other essential medical products and send them to these centres for Zipline to stock on the Government’s behalf. When they run out, Zipline will inform the Government, which must restock them as promptly as it can. Thereafter, within an 80 kilometres radius of that distribution centre, enrolled district hospitals can place an order by SMS or WhatsApp for a delivery when they need it, and Zipline shall deliver within 4 hours for normal requests and up to 1 hour for daytime emergency requests. When a request comes from an enrolled clinic or hospital, Zipline shall load a programmed drone (drones have a fixed route which cannot be amended once in flight) with the item and send over the drone. Upon arrival, the drone hovers over a field lot and drop the package from 20 feet down. The health workers will pick up the package, test to confirm sound condition and take it inside for use. Monsoon-level rains and strong winds create conditions under which Zipline is excused from fulfilling the orders. It is remarkable that neither the Ghana Health Service (GHS) committee tasked with evaluating this initiative nor the parliamentary health committee found it worthwhile to subject the programme to any kind of even the most elementary supply chain, logistics or financial throughput analysis, when these are precisely the domains invoked in this project. In the rest of this short note, we shall attempt to fill a few of the gaping gaps. Each distribution centre is contractually capped at 150 deliveries a day, and each delivery is likewise capped at 1.75 kilogram per delivery. At full capacity, therefore, the initiative delivers 262.5 kilograms of supplies per day per delivery centre or one tonne of supplies across all delivery centres. Let’s keep the analysis familiar. Every Ghanaian is well acquainted with 'trotro' vans, so we shall use those as our benchmarks. The most iconic 'trotro' van is the Nissan Urvan (a specific range doesn’t matter for this analysis). The average load capacity of a Nissan Urvan is 6 cubic meters. The gross weight is 3 tonnes on average, and the payload capacity is about 1.15 ton. In effect, one 'trotro' van can carry the entire payload of all four Zipline distribution centres. One 'trotro' van can begin in the morning and then go around distributing the required weightage of products to 12 facilities in an 80-kilometre radius (if indeed there are that many facilities) if average travel speed is 30 kilometres per hour and unloading and turnaround time is 30 minutes on average. Of course, the 80km radius is on a per distribution centre basis, so we are talking about 4 vans here. Nevertheless, we must introduce such redundancies only if each distribution centre is more than 150 kilometres away from each other since otherwise, the contiguity would provide overlapping opportunities allowing three alternating vans to take care of the distribution for 4 centres within the 320-kilometre radius. The reason why as a country we don’t want to spend $90,000 buying three Urvans and converting a storeroom each at four-star district hospitals in the 4 “distribution catchment” areas to hold these meagre supplies (remember that the supplies needed per day across all centres for a week can fit in five 'trotro' vans) areas is because we believe that turnaround times would be too bad to allow that. We can’t accept JIT, we need extreme demand-driven distribution. Bad roads, rather than tight vehicular traffic, are apparently the culprits here since we are talking about rural Ghana. Roads so bad, even motorcycles won’t do. We can’t, it is implied, designate some district clinics as the network depots and move products from one to the other via road. We need to wait till a clinical need arises and then send a drone along to drop the package. All because of unspeakably bad roads. After all, Ghana’s 17,000 kilometres of paved road are overshadowed by the 120,000 kilometres of unpaved roads. The belief therefore is that the four distribution centres sited in Asante, Eastern, Brong Ahafo and Northern regions shall have within their coverage radii clinics and health centres located in places that are so inaccessible that sending a van in the morning to stock supplies for the day based on an analysis of consumption for the past week is simply too old-fashioned. It should be obvious that there are serious challenges with this thinking. Firstly, the “pull logic” is not completely free of “historical consumption-based forecasting modelling”. Those Zipline distribution centres are going to be stocked too. The stocking pattern must be based on how clinics in the “coverage area” are consuming supplies. In fact, that is why Zipline has unloaded that entire forecasting burden onto the government. Keeping those centres stocked means using logistics modelling tools that draw on data from the coverage clinics. If we can plan ahead of time to keep the distribution centres well stocked with blood, vaccines and medicines, then we can keep one major district hospital in each coverage radius well stocked and use the same historical data from clinic-level orders to keep each clinic and community health compound (CHIPS) supplied in the course of the day. If we cannot then build in some redundancies to deal with emergency stockouts which constitute the true problem we seem to be grasping at, then it is unlikely that we can build redundancies at the Zipline distribution centre either since stocking remains the responsibility of the same health system that apparently cannot use historical data to deliver supplies with a 24-hour turnaround time. And, of course, once we allow a daily restocking turnaround time, the bad roads argument becomes ludicrous because there is no part of Eastern, Western, Brong Ahafo and Northern Regions that cannot be serviced daily from a facility 80 kilometres away within 24 hours. That raises the issue of cold chain logistics. If we accommodate the view that for some of these coverage clinics the problem is that maintaining one clinical-grade refrigerator at $2500 to keep 20 kilograms of blood and delicate medicines is much too costly and we would therefore rather store the products 80 kilometres away and bring them in by drones only when needed, then of course it becomes a matter of cedis and pesewas. We shall be going there soon; bear with us. But first, let’s look at some fine-grained analysis. The four target regions have over 4200 health facilities, 12,500 hospital beds, and they record about 15 million outpatient visits a year. Nearly 1.2 million in-facility admissions are recorded annually. The fleet of trucks to serve these facilities from the central medical stores’ (CMS’) hub in Tema has less than 15 7-ton trucks in it for the whole country as per records scrutinised last year. Medicines are thus delivered to the regional medical stores and a hotchpotch arrangement of commercial vehicles and service cars has arisen to distribute the supplies from the regional hubs to various districts. Despite frequent requests for a few vans to enable a fixed schedule of distribution to district hospitals, this has not materialised as yet. This is probably why a common concept for the execution of JIT models has not been considered. In this model, “forward positioning” is used to bring goods closer to delivery points to reduce turnaround time. In the earlier model we described, we discussed the acquisition of 3 vans to transport products with a 24-hour turnaround time within a 160-kilometre radius. An alternative model would be to add four “mobile cold-rooms” comprising of slightly bigger (e.g. 6 tonne) trucks positioned at vantage points “on call” to supply at shorter notice. These hub-and-spoke models would amount to a major improvement on the current system where the central medical stores (CMS) agency has no regularly scheduled delivery capacity at the district level, not to talk of community health (CHIPS) centres. The remarkable thing is that such an arrangement would cost less than $2 million to implement and operate (fuel and maintenance costs inclusive) for five years. And Ghana shall own and control all of it. In the proposed Zipline arrangement, each drone can send enough blood in one flight to serve the transfusion needs of one patient (the payload weight corresponds to roughly 2 litres of blood). An average transfusion session requires about 2.4 litres). Using only blood payload analysis for simplicity, we can estimate that, when running at full capacity, the drone service shall be catering to about 150 patients a day per distribution centre. Given the current patient demographics, the equivalent facility concentration ratio leads to the result that this system shall be engaging less than 200 of the more than 4000 facilities in the target regions. The question that naturally arises is: at what cost? According to the agreement between the Ministry of Health and Fly Zipline Ghana, the latter is entitled to receive the full amount of its fixed monthly fee if it delivers 100 packages a day on average. This amount is $88,000 per distribution centre. Thus, the fixed fee per beneficiary-patient in this model is $30 or 150 GHS per use. Note that, per section 6.3 of the contract, if the capacity is made available but the Ministry of Health (MOH) or GHS fails to utilise the capacity, payment is due. We are not accounting for the tax and VAT exemptions/reimbursements as that amount is variable, but on average it should add an additional 25% to 30% to this unit cost. But even if we assume that full throttle capacity utilisation shall happen every month, an engineering impossibility, the cost per patient per use is equivalent to $19.5. In the case of blood, such an arrangement is completely ridiculous, since blood has a high weight-per-dosage ratio. But the full extent of the problem is best manifested when the model is contrasted with road transport. Using the van delivery mechanism, we described earlier, the full cost per 2kg of blood (~4 pints) delivered to a patient from a facility within an 80km radius comes to $0.75. The “drone premium” is thus nearly $18 per blood bag. A cost higher than the retail price of one pint of blood in those Ghanaian facilities where blood is sold. The cost of collection, screening and storage of blood in the current Ghanaian health system is currently estimated at $12 a bag. The effect of the drone premium would be to increase this to ~$32 on average, a nearly 270% increase. Contrast this with a road-based hub-and-spoke model that would add a maximum of $2 with minimal loss of speed in delivery. Such a massive transport premium has major public finance implications and should thus inform our recommendations at the end of this article. Many discussants of the Zipline case have been quick to remind everyone that Zipline already operates in Rwanda and Tanzania, and therefore that the service is well proven. It is true that Zipline’s parent company in Silicon Valley has done a good job using the Rwandan experience to justify the $114 million it has raised from investors to date. The company tells a very good story, and the mission is fairly uplifting. Its revenue track record in Africa is putting it in a very good stead to achieve the ultimate aim of doing drone deliveries in the USA itself. But it is untrue that it already operates a similar service in Tanzania. Its initial contract draft with the government received the same kind of scrutiny it is receiving in Ghana – even if not as publicly – and has been stuck in contention over terms for many months now, which brings up an important point. Ghana is not Rwanda. Our democratic practice and culture of civic discourse are very different. This is not the usual parroting of anti-Kagame propaganda. Rwanda has always had a different civic culture from Ghana. Most discussions about public policy occur within a few tight circles, a culture that long predates Paul Kagame. In Ghana, our civil society norms require a public examination of government policy, especially policies that are implemented without broad consultation and debate aforehand. Were ruling parties to take this practice seriously, most policy problems would be addressed before it was too late. But the key point is that we cannot rely on Zipline’s track record in Rwanda because the public debates that would have surfaced important performance information simply don’t happen in the way they happen elsewhere. Of equal importance is the fact that Rwanda has a very different geography. It is smaller, very hilly and more difficult to navigate; far more rural, with thick swathes of vegetation; and has a health care system that is more centralised. 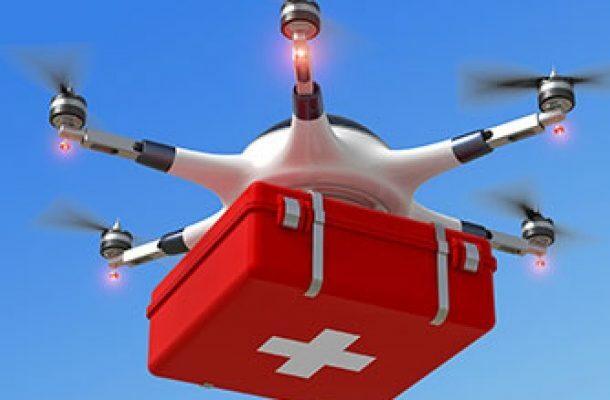 Its national blood management system has already seen the kind of reforms, including nearly 100% voluntary donor compliance, that should make a regularly scheduled drone service useful in certain outlying health centres. That Rwandans are using Zipline in a targeted fashion is easily discernible from the fact that the average delivery rate per day for the drones, since Zipline started operating in the country, is six. In Ghana, in our usual leaping before looking, we are projecting 600 deliveries a day! Rwanda has augmented the district level fleet for medical distribution alone with more than 30 trucks. We have struggled to hit even 15 trucks for the national to regional distribution fleet. Clearly, whatever it is we think we are doing, copying Rwanda, isn’t it? Furthermore, and perhaps more poignantly, Rwanda spends on some of these projects as part of its national branding exercises. The intention then is not to look at the policy implications and financial consequences in a particular sector, such as health per se. Ghana does not have a need for such a strategy because it enjoys easier access to international media goodwill. And at any rate, Rwanda, when it signed on, was entitled to use the bragging rights of having been first to do it, a prize no longer available. Last month, Tanzania decided to launch a small pilot of Zipline in the Lake Victoria area to gather more data to resolve certain contractual difficulties that have delayed the rollout of the project for many months. This is a wise approach. There could be a small, complementary, role for drones in the management of extreme emergency stockouts. Say, during a localised epidemic, after a major accident, or following a flooding situation. There is also some econometric modelling that shows that for highly expensive products with very low weight-to-dosage ratios, drone delivery premiums could come down significantly making the concept viable for those particular products. The problem is that even for emergency stockouts and super-expensive medical products, a lot of other questions arise. Our national list of essential medicines, which are generally provided free of charge or usually available at public health facilities at reasonable prices, has only a few of such high value – low weight medicines. In the majority of cases, people buy medicines from private trade. Drone delivery in its current configuration, with zero inventory management and payments systems integration, cannot work in such a context. People don’t sit around in OPDs for four hours waiting for drones to drop medicines from the sky. Some clinical supplies are purchased with internally generated funds and cannot be sent to lie around in Zipline’s depots and then sent back by drones. It is monstrously ridiculous that clueless propagandists are busy spinning this project as a mechanism to transform the entire public health supply chain when it should be treated as a very niche service to address very narrow concerns after rigorous piloting on a far smaller budget. We do not dispute that drone deliveries, WHEN PROPERLY DESIGNED, could plug some very well-defined gaps in specific corners of the country for narrow emergency needs. But they cannot become a substitute for the CMS – RMS (Central Medical Store – Regional Medical Store) mainstay of our public health chain and they cannot become a parallel network starving the RMS – CHIPS of much needed investment. They are much too costly to be forced into that role. Not when, we cannot afford vans to transport the 99.9% of supplies that can’t and won’t be sent by drones. In summary, IMANI, like all well-meaning Ghanaians, are happy that due to the Vice President’s efforts, “innovation” is back on the national agenda. Our only concern is that without careful planning, analysis, and multi-disciplinary thinking, we risk confusing pointless novelties with true, life improving, innovations.